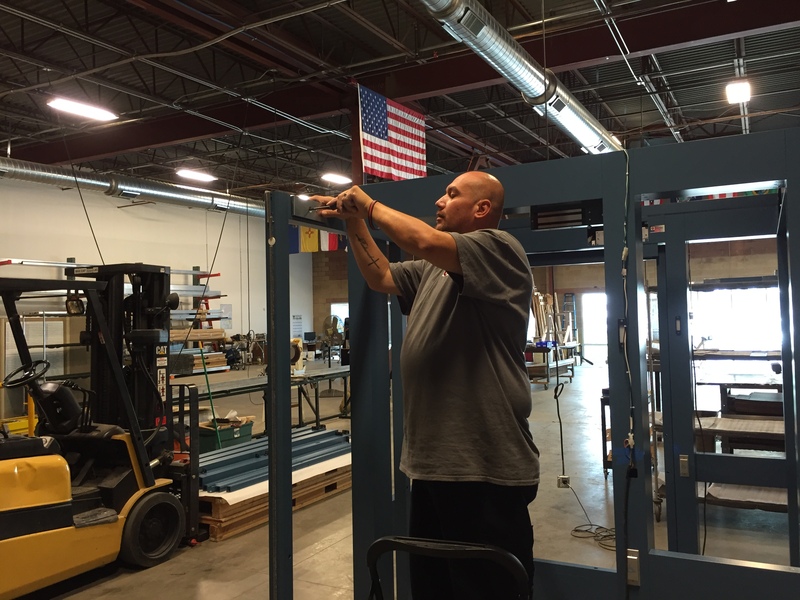 “We test everything” says Production Manager Isaac Madrid while conducting mandatory assembly and Factory Acceptance Testing before the portal is delivered to the Air Force for installation. Isotec also follows our work and we’ll be on hand for installation supervision, Site Acceptance Testing, and operator training to insure the technology performs as specified. This entry was posted in Military Security, Uncategorized and tagged Access Control Portals, Access Control Vestibules, Anti-terrorism Technologies, Qualified Anti-terrorism Technologies, Security Vestibules. Bookmark the permalink.